How Effective Is Eyeliss For Under Eye Puffiness? Eyeliss is one of the few patented skincare ingredients which has been clinically proven to have achieved positive results in dealing with puffiness under eyes and helping soften and reduce eye wrinkles as well as fine lines. Under eye puffiness may be temporary and simply caused by late night, lack of sleep and bad dietary habits or may be permanent. As your skin begins to age it sags and capillaries may leak causing inflammation and swelling. It’s a fact that aging affects eyes more than any other part of the skin, so what we really need is an effective eye product free of harmful chemical irritants which has proven through clinical tests to help fight puffiness, dark circles and wrinkles. Eyeliss is not a skin care product, but rather an ingredient that is found in the most effective eye creams now on the market. A company called Sederma originally developed it in France. After just one clinical trial of only 20 people, Sederma experts were so convinced that Eyeliss was the answer to those under eye bags that they had the ingredient patented. Eyeliss is not a new ingredient, but it has been in fact around for many years being an ingredient in many eye care products used by celebrities. However, until recently this ingredient was so expensive that only those who had plenty of money to burn could afford the products containing this ingredient. Now, with the price for it being more reasonable many of the better anti aging eye care products have included eyeliss as one of the ingredients in their products. Hesperidin Methyl Chalcone– This is a natural ingredient that is found in several different citrus fruits like oranges or grapefruits. 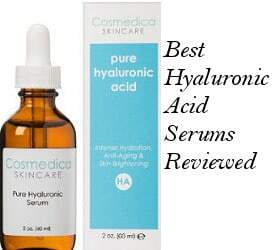 This peptide strengthens the tiny capillaries under the eyes, which reduces leakage. It also minimizes some of the swelling and that bluish purple color that can make you look so ill.
Dipeptide Valyl-Tryptophne– A natural ingredient that actually promotes the drainage of fluid that collects under the eyes. It can also reduce some of the puffiness caused by the buildup of fluids. Lipopeptide Pal-GQPR– This peptide decreases inflammation, improves skin elasticity and firmness of the skin around the eyes as well as helps to reduce under eye wrinkles. Initial Clinical trials for eyeliss showed that puffiness under the eye was reduced up to 70%. Newer trials seem to bear this out with findings up to 65% reduction of under the eye puffiness. What Has Eyeliss In Clinical Trials Proven To Do? Improve vascular circulation. Healthy circulation brings oxygen to the area under the eye. When blood moves easily, buildup of fluids is less likely. Prevent leakage of capillary fluids by strengthening the capillaries and the capillary walls, which helps prevent capillaries from breaking and leaking fluid under the eyes. Promote drainage of under eye fluid. One of the major reasons for puffy eyes is the buildup of fluids. By the natural draining away of these fluids, the eyes not only lose their puffiness, but fluids are less likely to build up in the future. Reduce tissue damage. Tissue damage results not only in a loss of elastin, but can also add to those dark rings under eyes as well as the formation of wrinkles. So, preventing damage of those delicate under the eye tissues will help to keep your eyes looking healthier. Firm and tone under eye skin. Eyeliss helps promote elasticity which firms the skin under and around the eyes and this in turn results in fewer wrinkles and fine lines. For also positive results as to the elimination of wrinkles, skin specialists recommend the usage of at least 5-10% Argireline, an anti aging peptide which gives similar to Botox results. Elite Eye Serum is one such serum which contains both Argireline and Eyeliss for maximum results. Elite Eye Serum was also been given the award of BEST EYE CREAM OF THE YEAR 2012. When looking for eye creams with eyeliss, there are a few tips to get the most benefits from this very effective ingredient. Make sure that Eyeliss is listed as the first or second ingredient in any product you buy to reduce under eye bags. When looking for Eyeliss products, try looking for those products that also contain hadoxyl, as these ingredients tend to compliment each other and add to the chances of reducing those bags and dark circles under your eyes completely. Take the time to read eyeliss reviews. These reviews will give you a good indication of whether or not there is enough of this ingredient to be effective. There is a number of different eye creams containing eyeliss today. However, many of these eye creams only use a minute amount of eyeliss in their product in order to save money and keep their profit margins high. The problem with this is that studies show that you need a fair amount of Eyeliss in an eye cream in order for it to prove to be effective. This means that many of the Eyeliss products on the market simply aren’t going to be effective because they lack enough of this vital ingredient to provide any real benefit. So, in order to get your money’s worth from an eye cream that contains the ingredient Eyeliss, you have to make sure that this ingredient is near the top of the ingredient list. Ingredients are listed by their content level. Therefore, if Eyeliss is listed at the top of the list then you know it is a major ingredient in the eye cream. If it appears near the bottom of the ingredient list, then there probably is not enough of it to really help reduce those bags under your eyes. 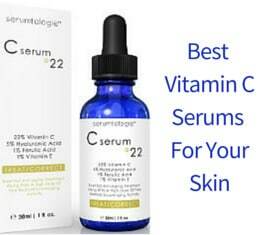 You can find some good eyeliss eye creams and serums certainly online with all those pros we have previously mentioned. Our list of well reviewed eyeliss eye creams will help you learn more about eyeliss and eyeliss products. 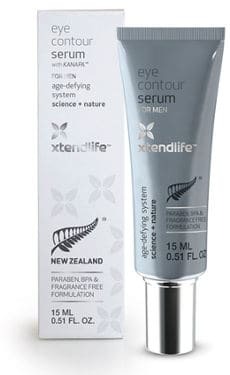 One eye cream of the above list is Eye Contour Cream by Xtend Life. 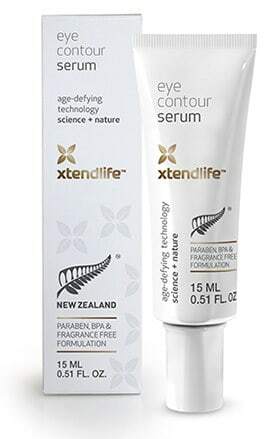 Xtend Life is a company in New Zealand which specializes in both natural supplements and natural skin care products. According to the company’s claims, Eye Contour Cream can treat bags and dark circles as well as wrinkles under eyes. This Eyeliss Eye Cream contains some other beneficial natural ingredients such as Active Manuka Honey by the New Zealand manuka bushes where the company is based, natural vitamin E, Moringa Oil and others. Eye Contour Cream for men is free of harmful chemicals which can dry and irritate the sensitive area of the eyes like parabens, mineral oils, alcohols and lots of others. They also provide their customers with a full 1 year money back guarantee whatever their purchase is. 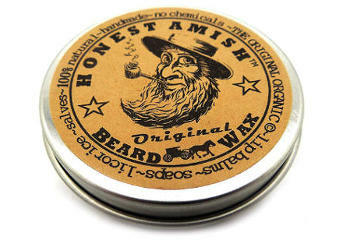 Free shipping all over the world and discount packages under certain conditions are also available.